One of the fast meal to prepare every morning is scrambled eggs but we can add more to it without affecting the preparation time. With tomatoes, and cheese you’ll surely love the great twist of the dish. And egg nowadays is very common in our kitchen for it is cheap and healthy to consume. This is one of the primary food considered mostly by Juan Dela Cruz and we cannot afford to lose this in our breakfast table every morning. 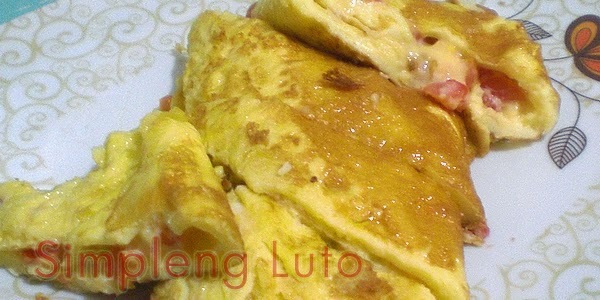 A one Simpleng Luto that we can add to our recipe book. 1. In a small bowl prepare or whisk the eggs together. 2. Melt butter in a pan over a low heat. 3. Saute garlic, onion, tomato and wait until tomato is soft and smashed it. 4. Pour in the eggs, and wait until it was ready for flipping. 6. Transfer the eggs in the plate while still moist. 7. Add salt or pepper according to your taste but also good without it.